The world's most elite counter-terrorist operators. and blown up rather more than usual. through a lawless and brutal virtual world. The year is now. Islamist terrorists hack into America's most sensitive defense networks, launch chemical weapons attacks on Western cities, and stage a raid on the vulnerable nuclear weapons storage facilities in Pakistan. They are using a massively-multiplayer online video game (or "virtual world") as a platform for their attacks  forcing a squad of supremely elite Delta Force Operators (reinforced by a cyber-security expert from Homeland Security) to go inside the game to fight them. But the fight only begins there. Get ready for breath-stealing action in every known battlespace  clockwork urban safehouse takedowns, combat helicopter assaults, brutal ambushes in the trackless mountains, waterborne SEAL team ops, precision close-quarters battle sequences, and CheyTac Intervention sniper rifle systems that can kill you from a mile and a half away. Get ready for D-Boys  where the weapons, tactics, tech, and 21st-century warriors will be like nothing you've ever read. Exclusively from: Amazon.com | Amazon.co.uk. 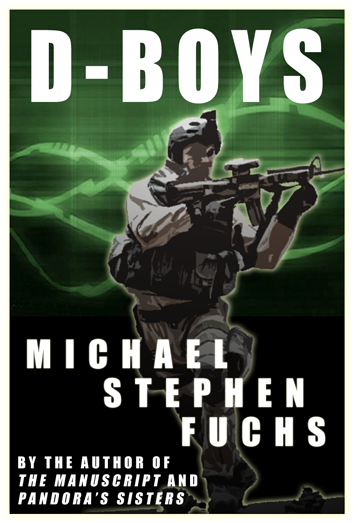 The D-Boys will return in 2012 in COUNTER-ASSAULT  the second salvo in Michael Stephen Fuchs' series of high-concept, high-tech special operations military adventure novels. For now available exclusively on Amazon Kindle (in exchange for some inducements from them  like making the book available in the Kindle Lending Library). Kindle reader available for Windows, Mac, iPad, iPhone, Android, Blackberry, and Windows Phone 7. I may do a print version later  though, the way things are trending, there will soon be little point. I'm still hoping, and pretending to trust, that this book will go in some kind of multi-book deal, brokered by my very wonderful agent, along with the second in the series, COUNTER-ASSAULT. But in the meantime, I can be making money and gaining readers and plus people can actually read the book if they want to  all now. Our age of miracles. Oh  important note: If you imagine that you might read the book and might like it and then might go on to write an exuberant five-star review on your local Amazon site (.com, .co.uk, .de, .fr, .it, or .es) please just drop me a note on and I'll happily send you a review copy. Cheers. Oh  and I've also done a bit of a pass through michaelstephenfuchs.com to try to get it sort of remotely up-to-date and like something that might pass as a proper author site. In related news, I recently became the last man on Earth to give up my stupid-phone  and while idly flipping through the Android Market in bed, as one does, I chanced to discover the happy fact that The Manuscript and Pandora's Sisters are now available for Android phones and tablets, via Google Books. Just in time for Christmas. 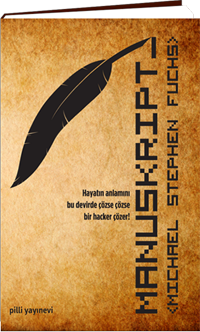 Oh, I also accidentally discovered that the Turkish translation of the first book is out. (Though I'm still waiting for my author copies…) Available, um, at least here and here. Perfect for the young (or not-so-young) Turk in your life. And just in time for Christmas!